KAM Snaps are made from polyacetal resin – a durable type of plastic that is less prone to breaking. Colors remain bright and sharp (do not iron buttons directly though, they are plastic, so they will melt if you apply an iron & pressure to them). KAM plastic snaps have been tested for harmful substances and comply with USA CPSIA regulations. Can you imagine we have sold 400 of these Snap Pliers since we first introduced them to Malaysia in 2010! In 2010 we only sold 50 of them, but that has increased steadily as awareness has increased on DIY crafting and sewing in Malaysia. Just goes to show that these reliable little tools are fantastic for little projects around the house. They can be used to quickly fix broken buttons on clothing – a few strategically placed snaps on cloth can achieve a lot of things! I have used mine to make impromptu table cloths for displays at fairs and events, to replace worn out velcro on hairbands. I have also used snap pliers to close up pockets and even handbags that didn’t have zip or existing closures. After a long hiatus, we are now restocked with KAM Snap Press DK93 and DK98. These snap presses are ideal for home businesses or serious hobbyists who have incorporated the KAM snaps into their projects and products. DK93 uses a screw in die shank and is better for small hobbyists who will be frequently changing out the shank. GroVia shells rise are 1/2 inch higher than the GroBaby version 2, and 1 inch higher than GroBaby version 1 – addressing what customers want – for the GroVia to fit longer! 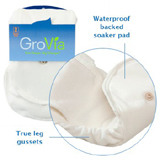 GroVia soakers are now 6 layers Organic Cotton, have Leg gussets and wonderful TPU (waterproof) backing – this means even more absorbency, and dry mesh inners of the GroVia covers – yet again, addressing customer concerns. Still the SAME great value – even better in fact as the prints and snaps are no longer more expensive than solids (everything’s RM95.00 per shell set). And now offered in Malaysia the GroVia Hybrid Test Drive package where you get 2 x GroVia shells (no cotton soakers) and 1 box of 50 x legendary biosoakers for 20% off the full retail price. This is a great way for those who don’t want too much laundry to still do 1/2 cloth diapering (No blowouts from disposable diapers ever again!). Look for more exciting things to come from GroVia – coming VERY soon to Malaysia. GroBaby / GroVia have converted a whole ton of Malaysian parents to cloth or hybrid diapering for their babies, with their high quality materials, great design, organic cotton inners, super sweet designs and money saving functionality – it’s hard to beat the GroVia as a starter set for anyone who’s ever considered cloth diapering. Have you considered giving them a try? Now available at Tiny Tapir Baby shops in Bangsar Village and Ampang Park, and of course, online. New shipment of Pikkolo Carriers has arrived. Check out the beautiful Georgia and Avalon prints below. 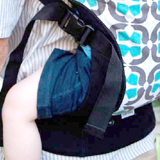 We also now have the support belts (you can use this with ANY mei tai and the pikkolo carriers) for use with heavier babies. They’ve been reduced from our previous price to RM94 each only. 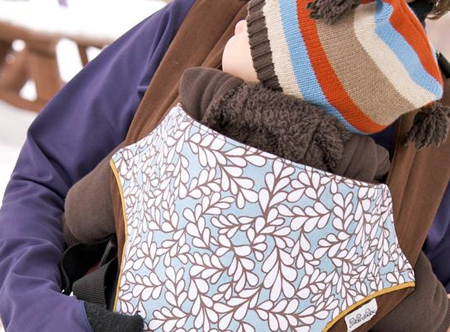 The pikkolo carrier is a huge favorite in our store and we can see why. They have beautiful fabrics, great construction and it’s just a great, well thought out product. Fantastic customer service too – We love you Beth! The pikkolos are available online now and you will also be able to touch, feel andpurchase them from Bangsar Village and Ampang Park shortly. These items are all between 1 – 3 months to expiry. Great bargain to try out the products – MD Moms Sunscreen Towelettes (for your little ones in the sun), some Earth Mama Angel Baby products and some Paul Penders skin and body lotion. Tiny Bubbles Detergent finally in! 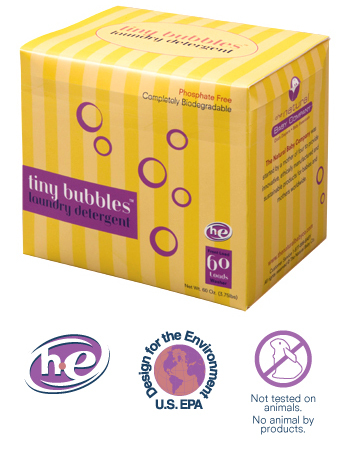 The Natural Baby Co’s Tiny Bubbles detergent has hit Asian shores. Finally a detergent that’s specifically made specifically for cloth diapering. So safe and gentle for baby – no dye, fragrances, optical brighteners, phosphates or fillers. Gentle for sensitive skin, low residue formula. Completely Biodegradeable! Friendly to the environment and your baby. If you’re using a front loading machine, it comes out the RM1 per wash (there are 60 scoops in each box).